Hi There! 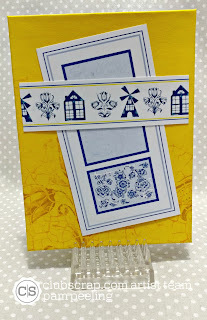 Welcome to my portion of the Club Scrap Delft Blog Hop and Linky Party! If you're following the hop you should have come from Hetty's blog. 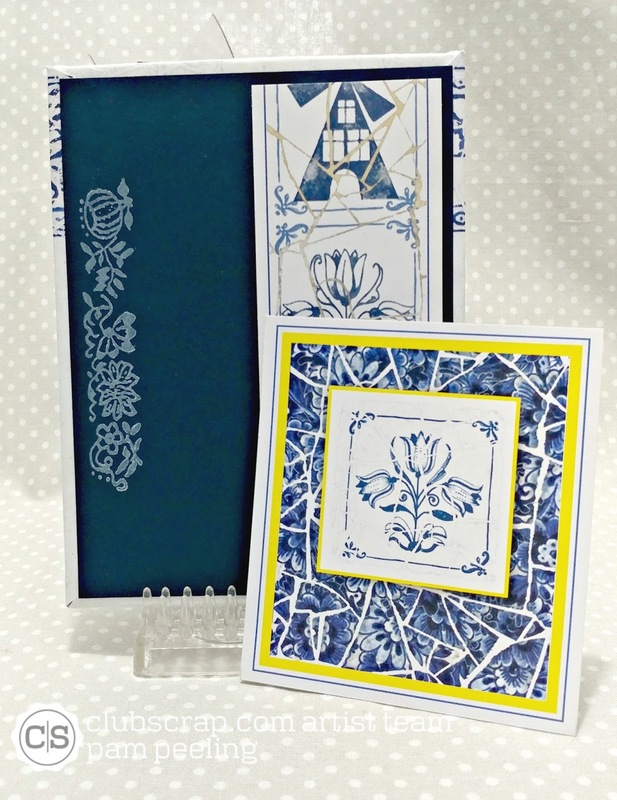 The March kit for Club Scrap is called Delft. Full of colors and images from the popular art style of the Dutch. 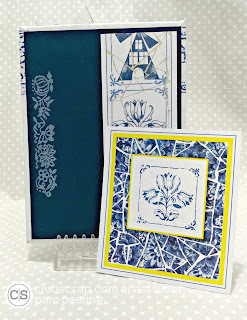 There is a cracked porcelain stencil available with the kit that I love! 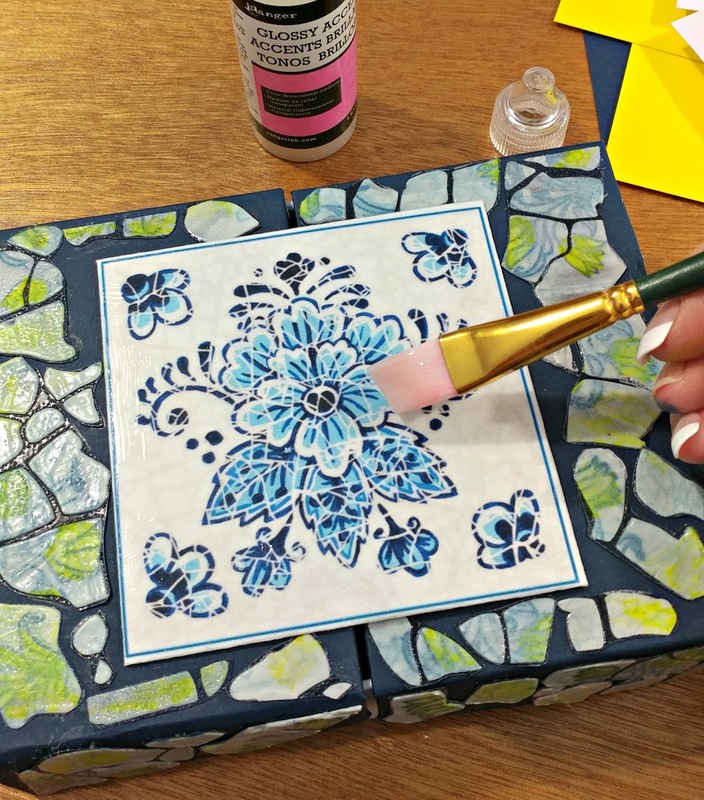 Club Scrap did a tutorial on their blog on how to use it to create faux porcelain tiles and it inspired me! 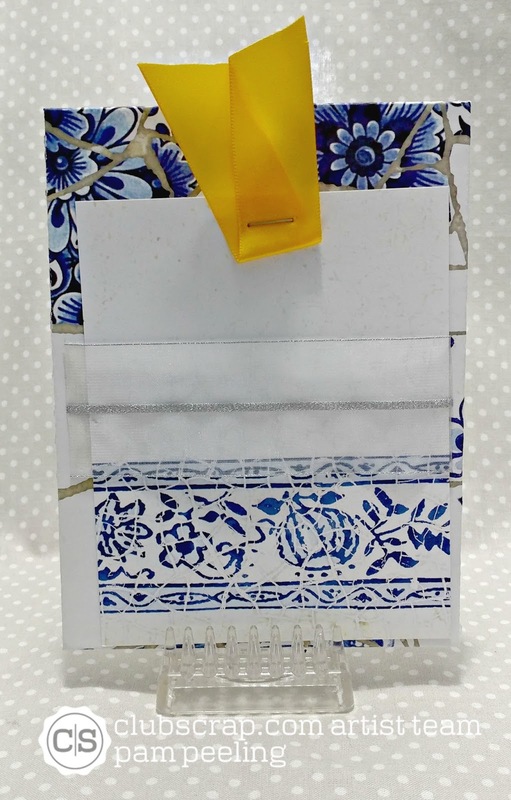 I created a mini album in a box with a cracked porcelain shards cover. The box has a faux tile on the top. The box opens in a gate fold manner. 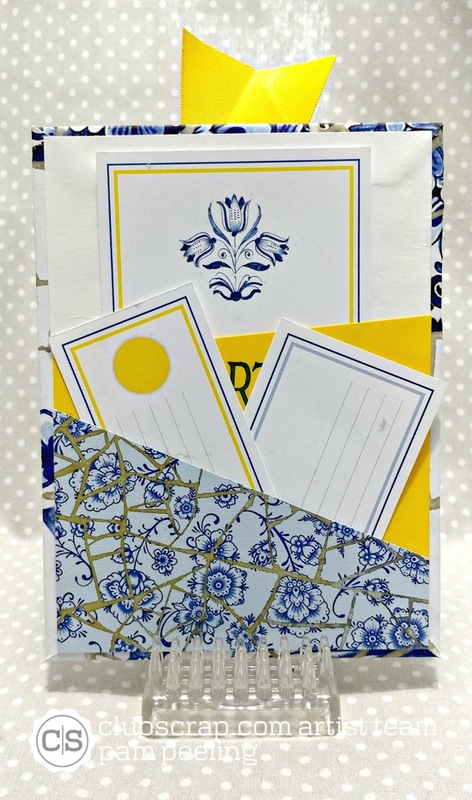 Inside the box are loose album pages with pockets and tags. There are 6 loose "pages" made with covered chipboard. 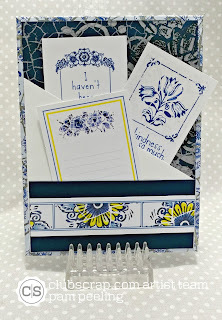 I added pockets for tags and pages to journal on or add photos. I used ribbons on some of the tags and also to hold the tags in place. Let me tell you how I made it! There is a tutorial here that I started with but I wanted a more sturdy box so made mine with covered chipboard. But the tutorial will help with the basic construction. The box was constructed in 3 pieces - the inside bottom box and 2 separate sections for the gate fold lid. Cut a piece of card stock 11 1/2" x 9 3/4". 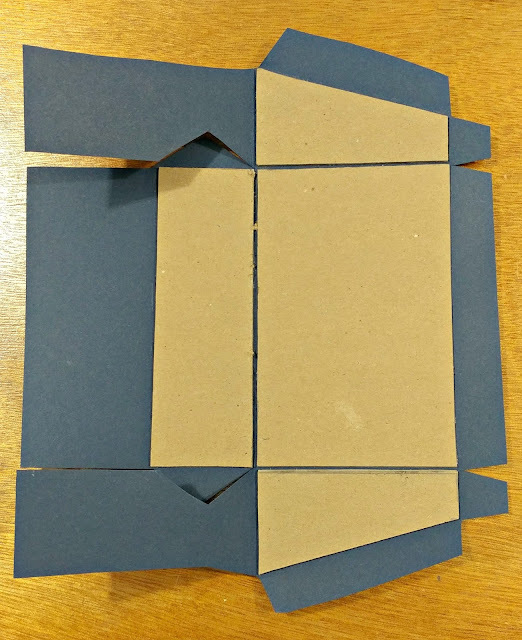 Layout the chipboard pieces on the card stock and cover-folding up the sides into the box. Cut 2 pieces of card stock 10" x 8" for the covers. Cut 6 pieces of chipboard 4 1/2" x 6"
6 Card stock covers: 6" x 7 1/2"
6 Mattes: 4 1/4" x 5 3/4"
For the folders, pockets and tag holders I cut random pieces to fit on the pages. 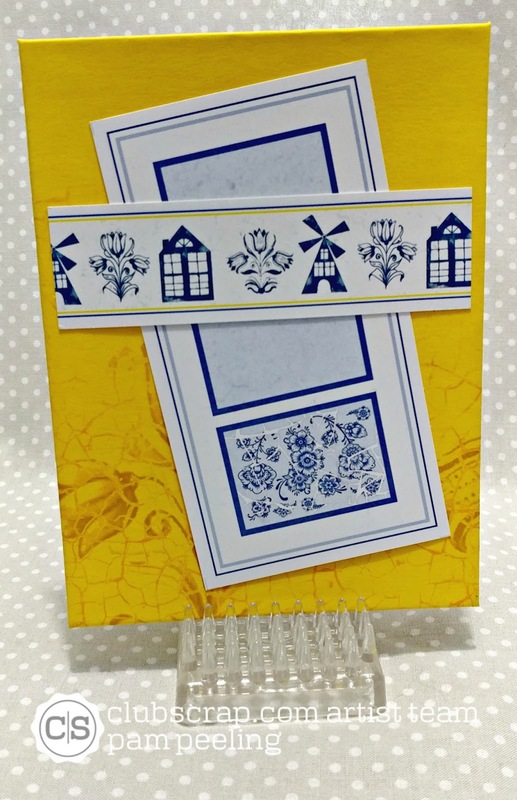 Place the pieces of the top on the card stock and trim as shown. Then fold up and construct the 2 top pieces. There is a 2" flap that attaches to the bottom of the inside box. 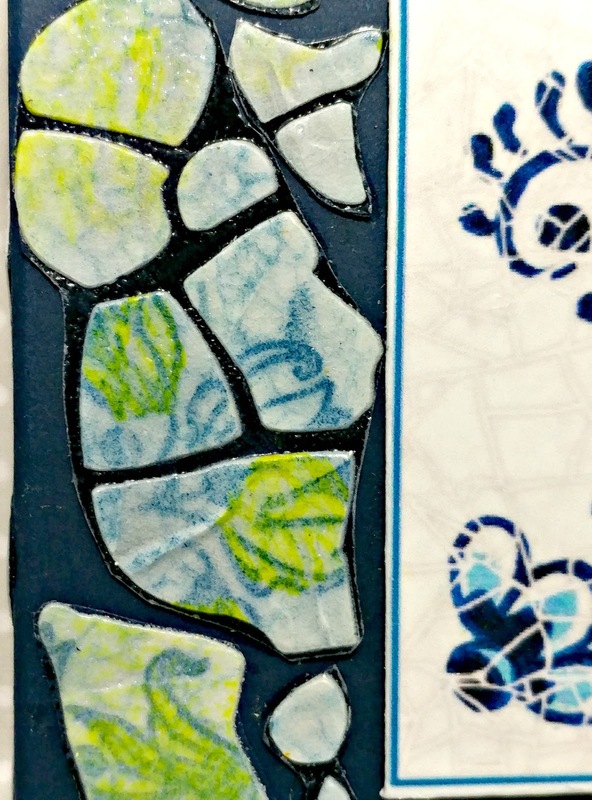 I used the cracked porcelain over a piece of the dark blue paper that came with the deluxe kit. I slathered on a layer of modeling paste. Pulled up the stencil and let it dry. 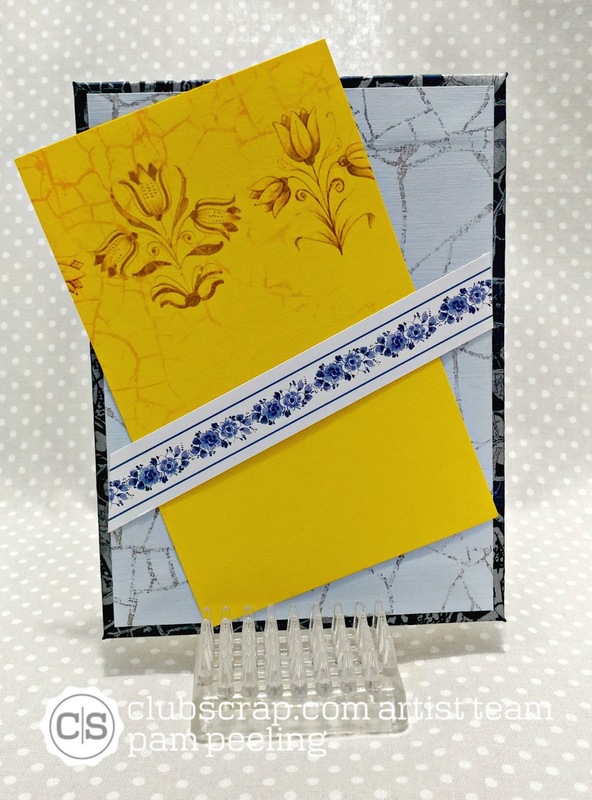 I stamped images from the unmounted rubber available with the Deflt kit with blue and yellow ink. 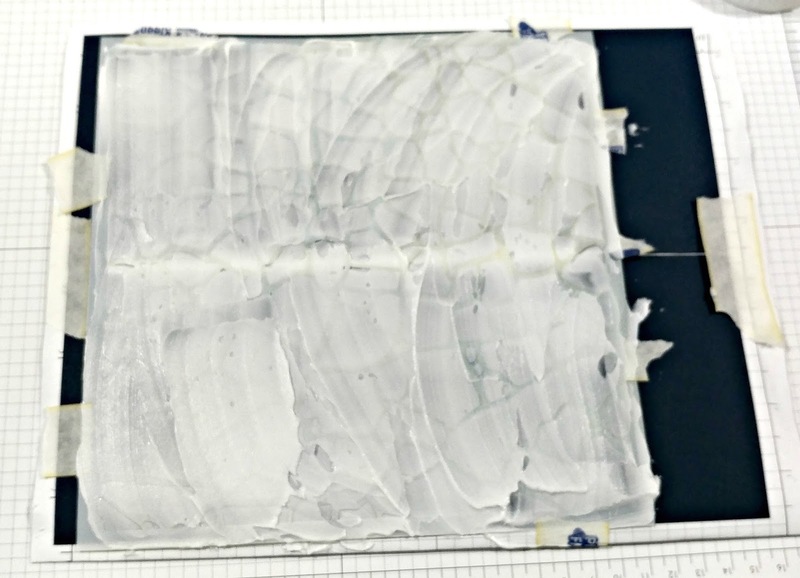 Then I pressed the whole piece onto my big clear embossing ink pad. 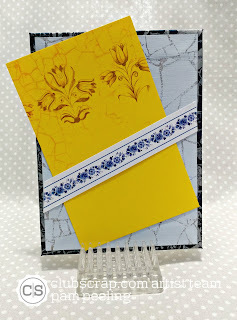 I sprinkled clear embossing powder on the whole thing and melted with a heat tool. I had to clean off my ink pad after with a baby wipe but it was worth it! 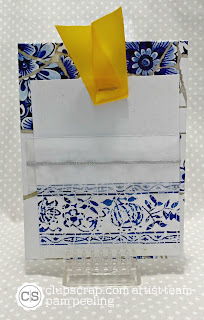 Then I cut random pieces and glues on the top of the box to create a mosaic of porcelain shards. For the "tile" on the top I printed out a resized image from the digital kit. It took a little trial and error but I finally got the size I wanted. 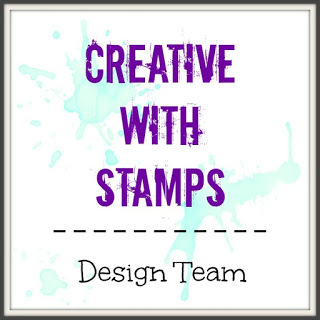 I printed it onto a thinner piece of white card stock and cut it out with a 3/4" white border all the way around. Then i used it to cover a 4" x 4" piece of chipboard. Then I covered the "tile" with 2 coats of glossy accents. 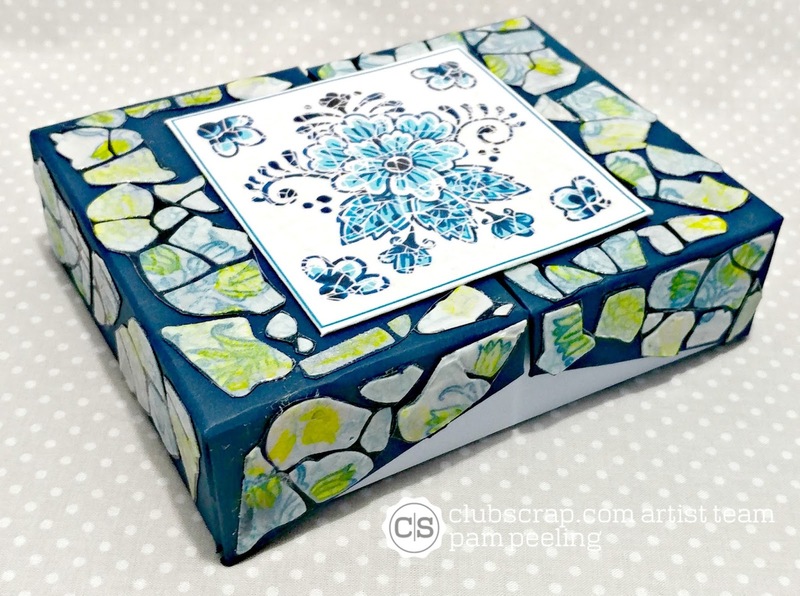 The box will fit up to 8 chipboard pages. Next on the hop is Tricia! 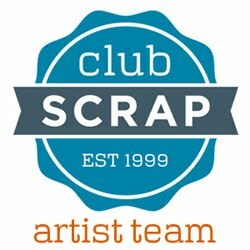 Make sure to link up a project of your own on the Club Scrap Blog! 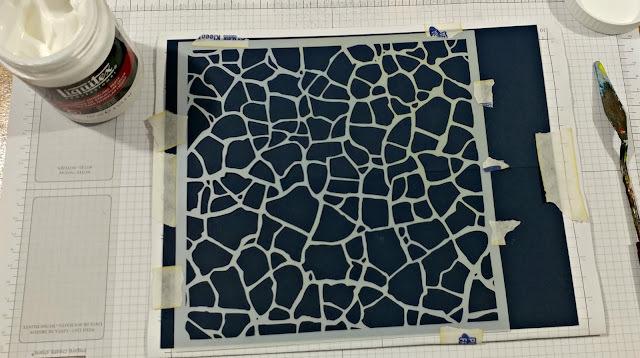 This is so pretty, your mosaics look so much like real tiles, great job! 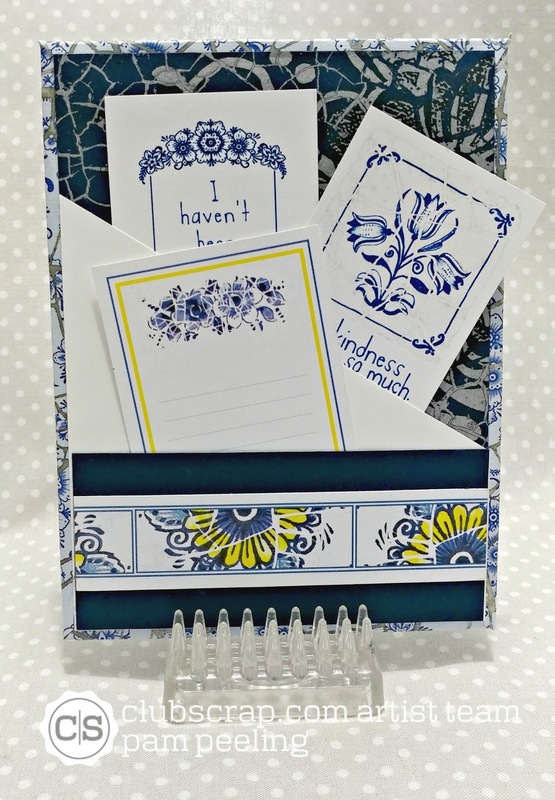 Not only a very beautiful box, but also some great card (ideas). 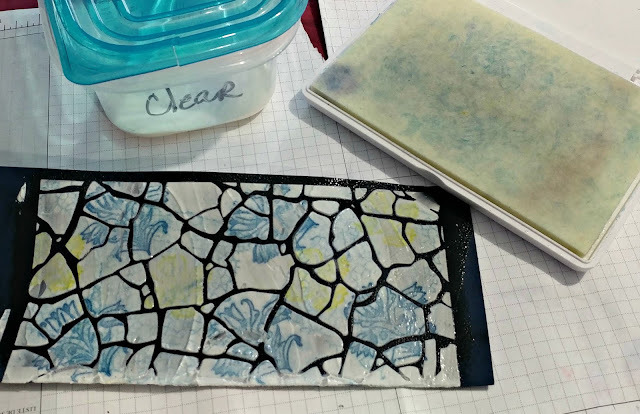 Thanks for sharing how you did the tiles. 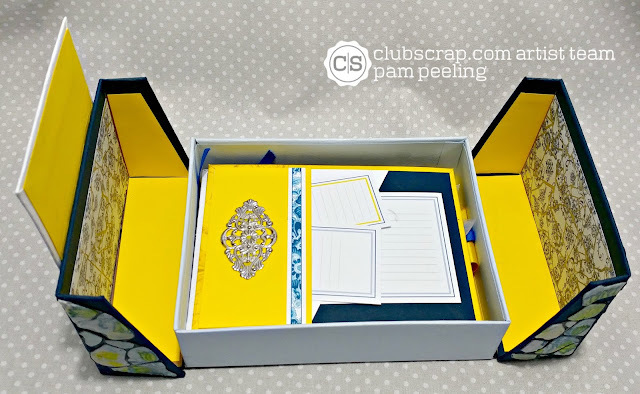 Such a gorgeous box and love all the details, wonderful!! Wow--those gate fold boxes can be a beast to make. GREAT job, and thanks for the walk-through! Really cool gatefold box. I love that style of box - thank you for reminding me about it. I love gatefold boxes....they are so much fun and so elegant looking. 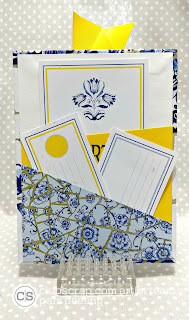 Your loose leaf album is a fun idea - love all the little pockets and tags tucked inside. Your gatefold box and the mosaic technique along with the loose album pages are just awesome, so much fun for me to see and be inspired by! Pam this is amazing! Love the "loose album" pages! Thanks for the inspiration! 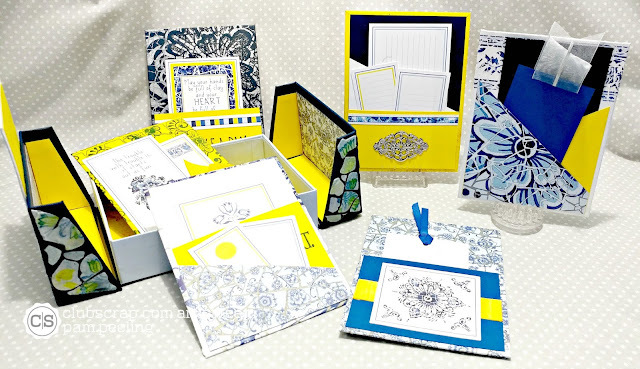 What a great project - lovely cards too! Thanks for the tutorial! Beautiful box and pages too!!! 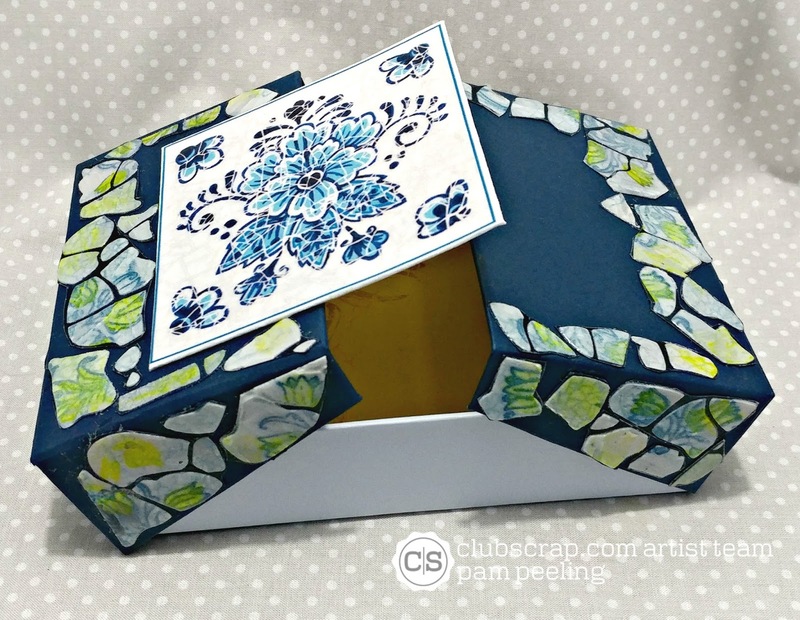 Fantastic and creative box! I love how you created the faux cracked tiles.